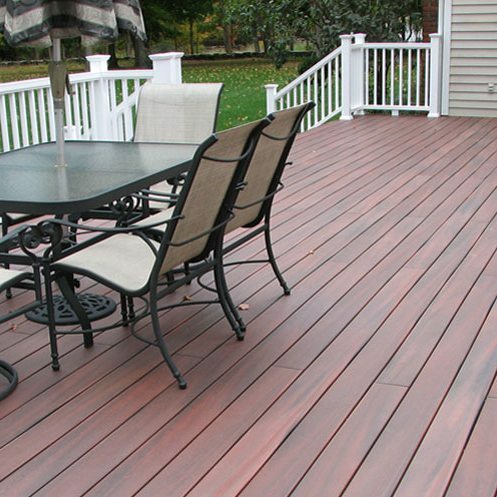 With over 25 years of industry experience, American Deck Co. offers an impressive array of unmatched residential and commercial decking services that will exceed your expectations. At American Deck Co., we know that our best advertisement is a job well done–that’s why we’re committed to delivering exceptional customer service and remarkable craftsmanship with every outdoor living space we have the chance to improve. Our commitment to craftsmanship is backed by a 3 year warranty on each project in addition to the manufacturer’s material warranty. We’re confident that our superior workmanship will provide you with a beautiful deck, patio, or pergola for years to come! A Few Facts regarding American Deck Co.
Because of the tremendous amount of lumber we purchase from our suppliers, we’re rewarded with the lowest possible prices in the industry. As part of this process, our savings are passed along to our customers. 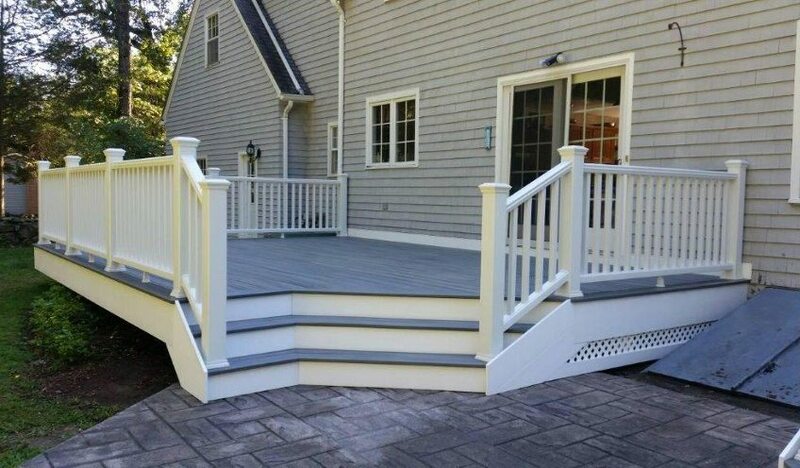 We also pre-manufacture many decking and patio parts in our wood shop, saving you on time and money during the entire process. 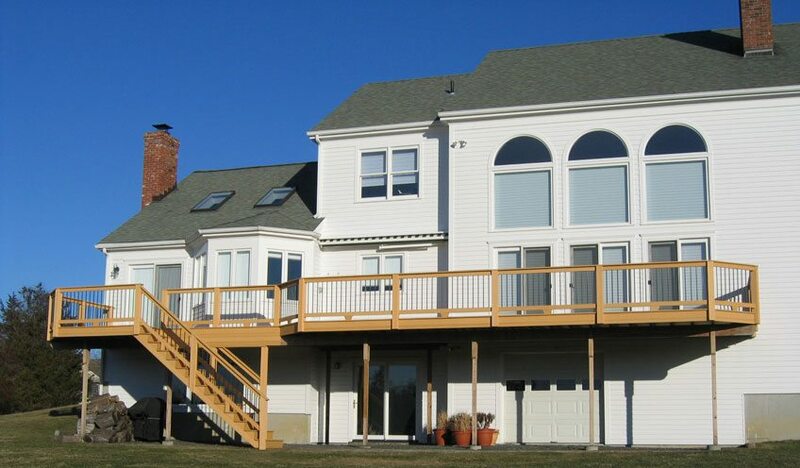 At American Deck Co., we’re also experts in Building Codes and Permitting. All projects we undertake are built up to or well over code requirements, and we can detect potential issues in your design to prevent wasted time and money. We can also help shorten the permit process! 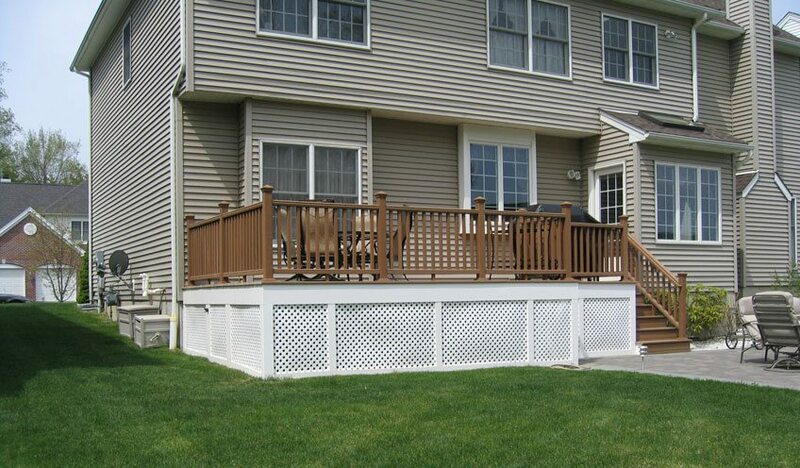 American Deck Co. is a decking company providing deck construction and maintenance for Danbury, Newtown, Oxford, New Milford, Redding, Sherman, Brookfield, Ridgefield, Wilton, Bethel, Weston, New Fairfield, and surrounding communities. American Deck Co. is a small, family-oriented company with big ideas to build you the outdoor living space of your dreams! The professional craftsmen at American Deck Co. welcome both new and existing clients who are in need of residential or commercial construction or renovation of decks, patios, pergolas, sunrooms, gazebos, and more.